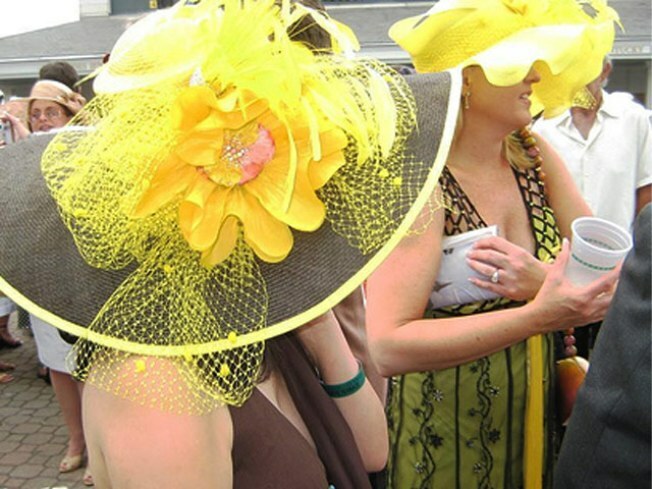 Hat up for the Bell House’s 136th Kentucky Derby party. HORSING AROUND: Expect plenty of, square dancing (complete with do-si-do), seersucker and hats, hats and more hats at the Bell House’s 136th Kentucky Derby party, brought to you by Colonel Boyd and Maker’s Mark. The Nouvellas will be on hand to perform “My Old Kentucky Home,” and in addition to a BBQ tailgate and the Van Leeuwen Artisan Ice Cream Truck, the mint juleps will be flowing, both freely (from 1PM, when the bar opens) and for free (at the mint julep happy hour from 5-6PM). Saturday, 1PM. ALL AGES: Streets closed off to vehicles will crawl with family-friendly fun like Broadway performances, kite-flying, tastings, and plenty of treats and activities from local merchants; on Duane Street, ESPN will sponsor games, demos and giveaways, plus the Dave Voelker BMX Stunt Show. And at 7PM, catch a free screening of Robert Kirbyson’s heartwarmer “Snowmen.” Hit the Tribeca Film Festival Family Festival Street Fair from Greenwich Street to WashingtonMarketPark, plus ChurchStreetSchool and BMCC, on Saturday from 10AM. OLD SCHOOL: Andrew Zuckerman’s photographic series “Wisdom” opened this week at the World Financial Center Winter Garden. Its premise: That one of the greatest gifts one generation can pass to another is its collective wisdom. Its subjects: Well, who isn’t in this show? Zuckerman—best known for his photographs of animals in the series and book “Creature”—has turned his lens on a who’s who of over-65 icons, from Clint Eastwood and Madeleine Albright to Billie Jean King and Nelson Mandela. The exhibit runs through May 15, and is open every day from 8AM-8PM.